Minimo is a geometric sans-serif typeface created & published by Ahmet Altun. This family package comes in four weights and the corners are rounded. It is recommanded for poster, magazine, display etc. 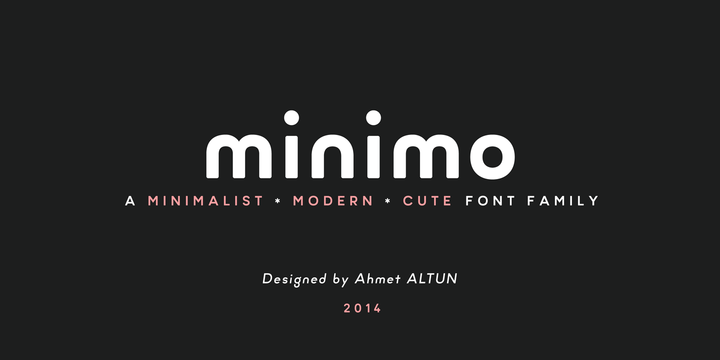 A font description published on Wednesday, February 19th, 2014 in Ahmet Altun, Fonts by Alexandra that has 9,089 views.